GoPro designed a whole lot of accessories to ensure your GoPro experience is out of this world. The GoPro Grab Bag is an excellent resource of replacement parts. GoPro makes life easy with this Grab Bag which consists of a variety of mounts and spare parts. 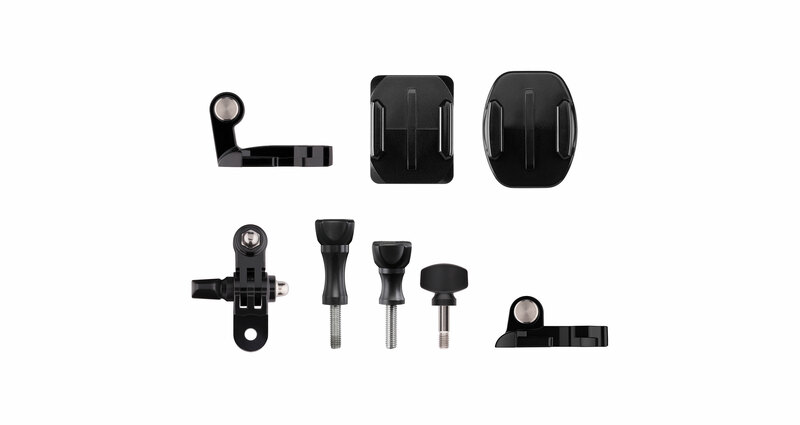 Expand your mounting options or use the GoPro Grab Bag as a resource for replacement parts. * Always select a helmet that meets the applicable safety standard when you use a helmet with a GoPro helmet mount. Always follow the helmet manufacturer's instructions on safe helmet use.